The UC Ads service provides businesses with the option of reaching out to audiences. It introduces intelligent content marketing which encompassess various services to help busineses expand their reach. 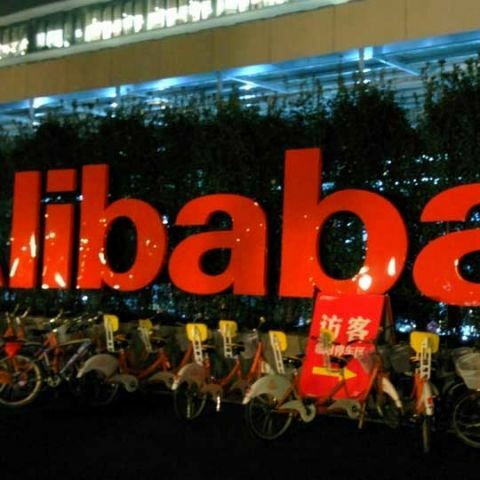 UCWeb, a subsidiary of Alibaba group has announced the launch of its mobile marketing platform, UC Ads in India. UC Ads is a content marketing solution which is aimed at enabling emerging and established businesses “reach out to right set of audiences across India at the right time.” The service introduces Intelligent content marketing, which provides instant content, Key Opinion Leader resources and customization services. UCWeb, a part of Alibaba Mobile Business Group today announced the launch of its innovative mobile marketing platform, UC Ads in India. UC Ads will provide an intelligent content marketing solution to enable established brands and emerging businesses reach out to right set of audiences across India at the right time. With strong mobile user insights, UC Ads will deliver accurate and precise targeting for its partners. The collaboration with UC Ads will enable businesses to access company’s huge user base across platforms like UC Browser, UC News, and 9Apps that enjoy 430 million monthly active users globally, 100 million monthly active in India and Indonesia and 250 million monthly active users worldwide, respectively. India has become a world leader in the mobile internet usage as per a report by StatCounter. The report claims that Indian mobile usage to surf the internet is more than double that in the UK (34.8%) or US (37.2%). Another report by eMarketer highlights that by the end of 2017, smartphones will make up 36.6% of all mobile phones, and by 2021 this share is expected to touch 47.4%. The trend is encouraging brands to use mobile as a medium to promote their products and eMarketer predicts double-digit growth for mobile ad spending in the next few years in India. By 2021, mobile will account for more than half (62%) of overall digital ad spending, which is expected to hit a total of $2.8 billion. UC Ads has also introduced Intelligent content marketing that will not only help brands deliver ads to the target audience at a right moment via computer programs, but also provide influential and instant content, Key Opinion Leader resources and customization services to enhance the marketing effect. In India, UC Ads will be focusing to engage with businesses across industries, starting from ecommerce, automobile, online travel agent (OTA), entertainment, education, IT and consumer electronics sectors that are seeking to customize their marketing solutions, as well as emerging businesses seeking for cost-effective mobile marketing. UC Ads has already run pilots with brands like Vivo, Myntra and OnePlus in India to enable them reach out to right set of target audience. The pilot partnership with VIVO helped the brand boost its awareness by increasing the ad exposure on UC Browser, UC News and 9Apps. To give the brand as much exposure on mobile as possible, UC Ads took VIVO’s sport marketing strategy and displayed the ad in the sports column of UC News. The campaign achieved 21% overflow exposure by making 600 million impressions. VIVO acknowledged the Big Day campaign as a cost-effective brand promotion. UCWeb’s other long term partners include Paytm, Flipkart, Amazon and Wynk Music. When mozilla firefox mobile will launch in India ? Which is the best octa core mobile in india?